A column in the Philadelphia Inquirer concerns a Philadelphia police officer who was coordinating the renovation of a Police Athletic League of Philadelphia center, and raised concerns about exposed asbestos. The column says the officer, Paul Zenak, received reprimands after persisting in trying to get the problem taken care of. He has since filed a whistle-blower suit in Common Pleas Court against PAL, the church, the contractor, and the city, which partially funds the athletic league. The column says Zenak was already wary of asbestos after his uncle Bill, a Philadelphia Gas Works employee, had died of mesothelioma in 2008. 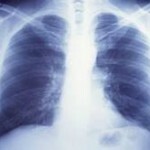 Mesothelioma is a cancer that comes from inhaling asbestos fibers. That same year, Zenak was assigned to the youth group center in the Wissinoming United Methodist Church, and saw a sticker from the city Health Department on the boiler in the basement that warned of an asbestos hazard. In September 2011, after a contractor said there was exposed asbestos on pipes in the room where neighborhood kids studied and played on the computer, Zenak closed off the area and notified the church and his sergeant. He claims the sergeant told him there was no problem, because the contractor was licensed by the city to work with asbestos. But weeks later, Zenak returned to the basement and found dust piled on the floor and still inside a Shop-Vac that had been left uncovered. Zenak complained to his sergeant, asking for an air test and demanding to see the license of the contractor hired to perform more than $25,000 worth of renovations to the church. For his efforts, he got reprimands. The column quotes a Philadelphia Health Department spokesman as saying the city has never certified the contractor to handle asbestos.